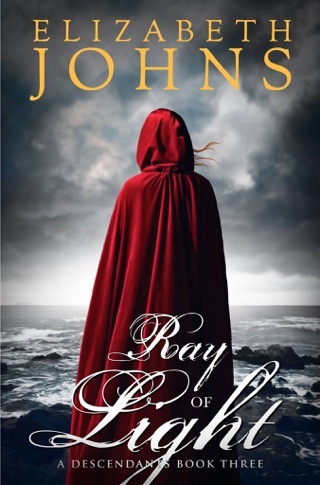 This Book Is A Must Read….Secret Marriage, Lost Love, and Stormy Seas! This Book Has It All! Oh…this story is rich velvet. Compare it to warm marshmallows in a steaming cup of dark, hot chocolate. It’s the best. I cozied up in my big chair, cup of cocoa, and book in hand – and couldn’t stop until I closed the last page. And now…I want more! Anxious to help his daughter, her father hired agents to look for Gardiner, but they found nary a trace. It was as if Gardiner had vanished into thin air. With no way to move on, Anjou convinces her brother, Charles and her parents that she needs to search for him, herself. Until she finds him…or answers that her heart must have…she cannot be convinced of his death. Her brother, Lord Charles Winslow, books the two of them passage on Captain Edward Harris’ sleek boat, The Wind. Despite fears of water and ocean travel, Anjou waves goodbye to parents and sets forth to find her love. Nothing is easy. The brusque Captain Harris makes it known that she is unwelcome on his ship, but assents to her passage after hearing her pleas. Convinced that she needs to stay out of his way, Anjou confines herself to her cabin for as much of the travel as possible, risking cabin fever. Their arrival in America is, at first, met with disappointment – no news. 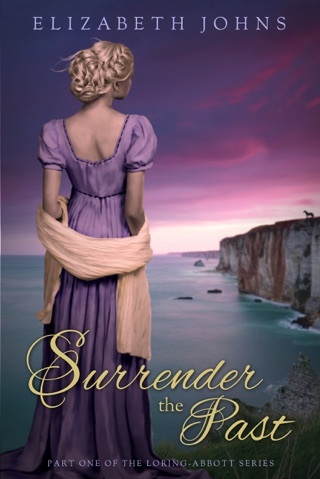 But an unexpected lead carries her forward… to her love or potential heartbreak. Does Anjou find the love of her life, finally? Or does she find out that her heart was wrong, and Gardiner did, indeed perish? Will her heart-wrenching voyage mean the end of her happiness? 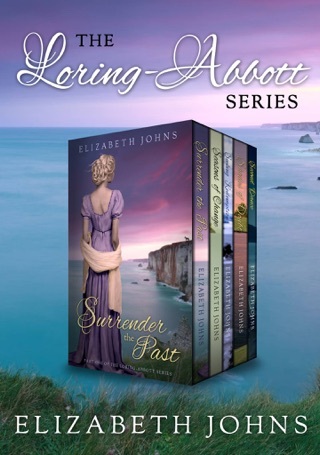 Each time I think it cannot get better –Elizabeth Johns goes one further, weaving her special stories and twining my imagination on another delightful adventure. It’s worth repeating –Johns’ characters are full of passion, strength and versatility, but at the same time they have flaws and vulnerability. They are very relatable as people you could really know. You bond emotionally with her characters. This may be her best one, yet. 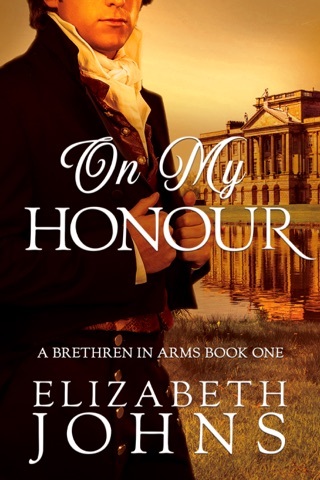 This emotional and intriguing story of Lieutenant Gardiner and Lady Anjou Winslow is very well written. 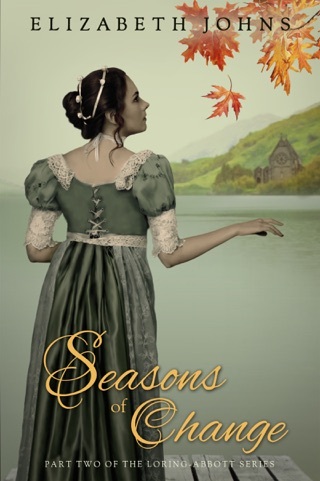 Anjou’s colorful story pulled me straight into the life of this multifaceted heroine, sailing with her from London to America – and back again. 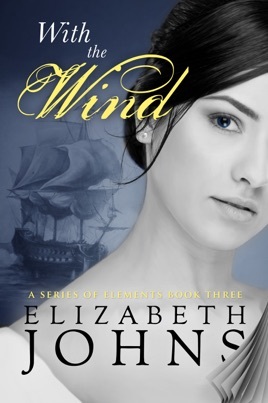 ‘With The Wind’ is the third book in her Series of Elements books. Each triplet’s story is a treasure, and invites the reader into the lives of strong, adventurous, and warm-hearted diamonds of the Ton – young women that lead anything but staid, boring existences. While each book can be read alone…or in concert with the other two, it’s a treat to read about this beautiful set of triplets. I think that Jolie – Lady Anjou Winslow, is my favorite of the three. To Elizabeth Johns...surely there will be more stories...more juicy escapades to absorb with these adventure-seeking triplets! 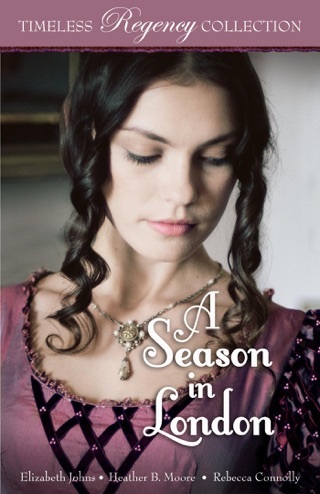 To all readers out there…I highly recommend this book— indeed, this series – if you are so inclined.